At the SOFIC Show, S&S Precision had their new Plate Frame on display. It is eye-catching in its high technology look and design. 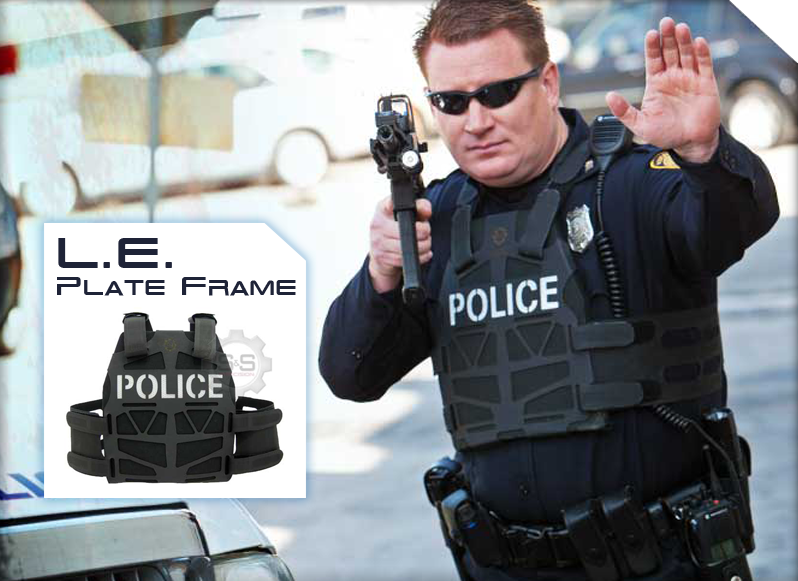 The Plate Frame itself is a thermally molded polymer that snaps on to the ballistic armor. The Frame is skeletonized to reduce weight. Its lattice also provide multiple mounting points. 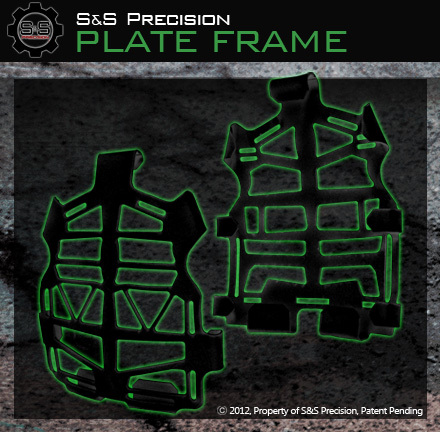 The Plate Frame is manufactured to fit on specific brand and models of armor plates, but S&S Precision plans to provide frames sized for all popular types of armor.. The plates themselves must be environmentally sealed, especially if used in a maritime context, since the frame does not enclose the plate. The harness system of the Plate Frame is made up of straps and cummerbund that are polyurethane coated and radio frequency (RF) welded, the latter providing that there is no stitching that might compromise strength. 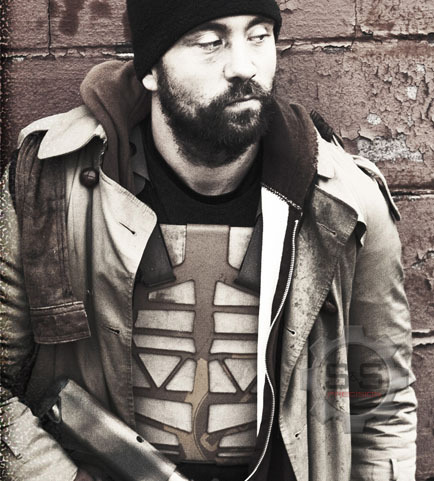 The material in the harness felt like the same tough rubberized skin of a RIB. S&S reports the harness system is also “non-hydroscopic,” by which they mean is does not absorb water. Excluding the actual armor plates, you can see in the photo above that the entire rig is minimalist and weighs just 1.6 lbs. 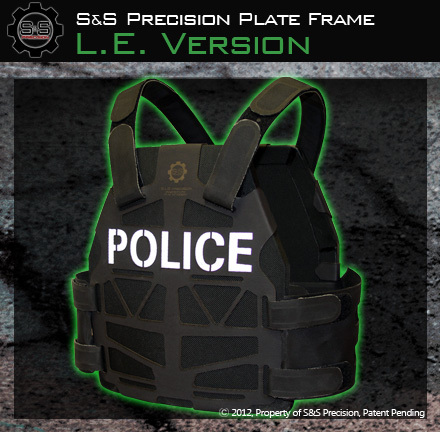 S&S plans for a standard Tactical Plate Frame, a Maritime version with built-in buoyancy, and a Law Enforcement model. 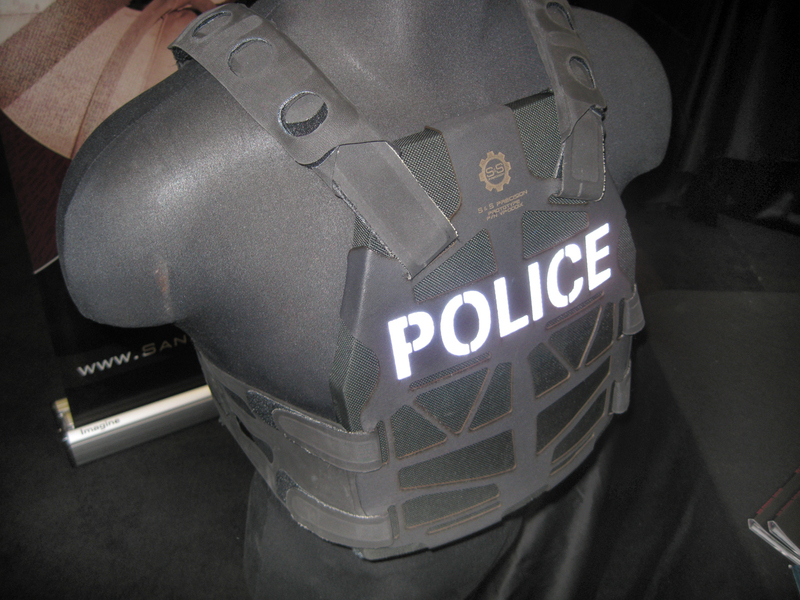 At their SOFIC booth, S&S Precision’s Johnny Swan told me the LE version was envisioned in a dual role as a throw-over plate carrier for the on-duty patrol officer and as a concealed plate carrier to be worn under a jacket or other bulky clothing during undercover assignments. 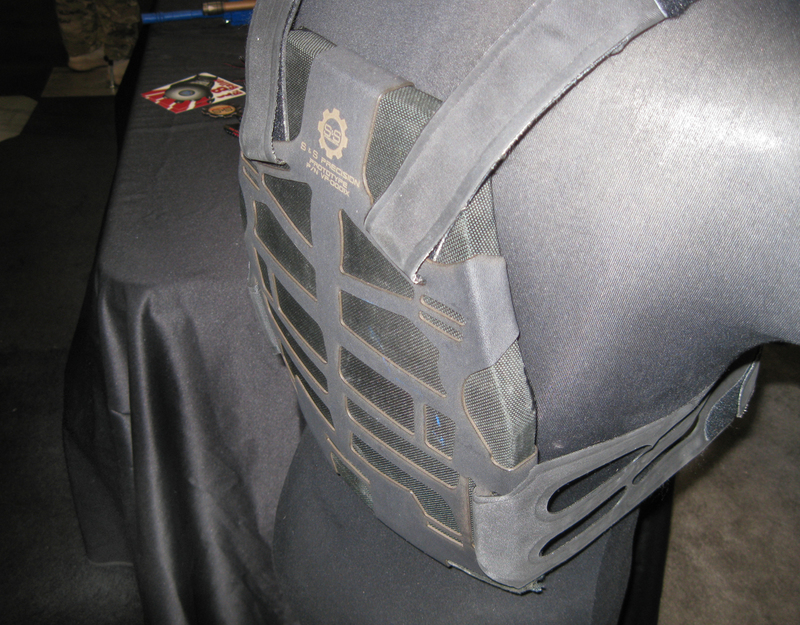 I’ve been liking the idea of an excruciatingly stripped down plate carrier for use over my duty gear. 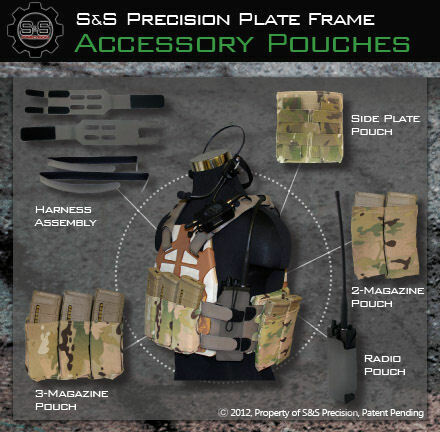 Much like their Holster Extender, S&S Precision is bringing cutting edge technology and futuristic designs to the marketplace. This is only good for everyone. 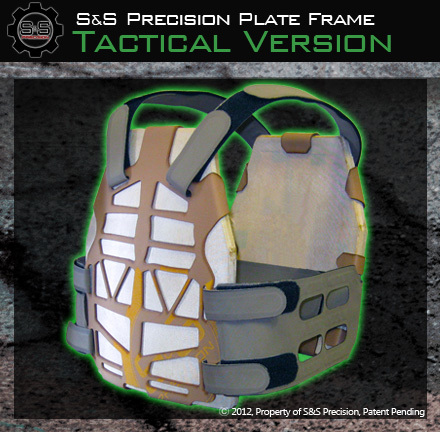 This entry was posted in Protective Armor, SOFIC, Technology and tagged buoyancy plate carrier, concealed plate carrier, lightweight plate carrier, Plate Carrier, Plate Frame, S&S Precision. Bookmark the permalink.